The green side of soft drinks! Green Cola’s core philosophy and main distinguishing feature, is the development of soft drinks that answer fully to the trend for a healthy balanced diet. It’s aim is to establish a new category of soft drinks in the international market, with the most important factor in their production being the use of natural sweeteners deriving from the stevia plant. Green Cola’s product range comprises soft drinks that have a superior taste having though zero calories, zero sugar, zero aspartame, no artificial sugar substitutes or other health-compromising ingredients. 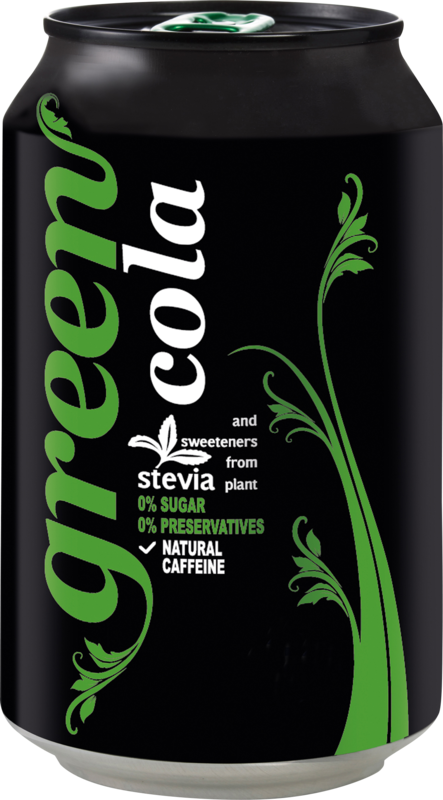 An unmatched cola taste, zero calories, no added sugar, sweetener from the stevia plant, no aspartame, no preservatives and caffeine from green coffee beans! 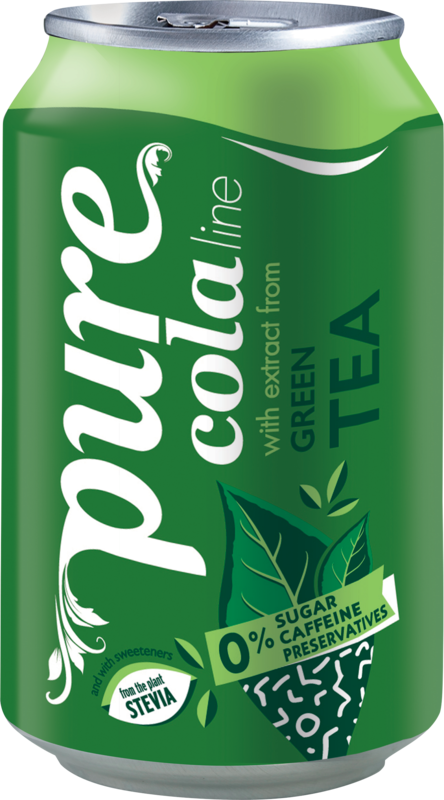 Pure Cola is a unique pure kind of cola enjoyment, with extract of green tea, no caffeine, no sugar, and sweetener from the stevia plant!